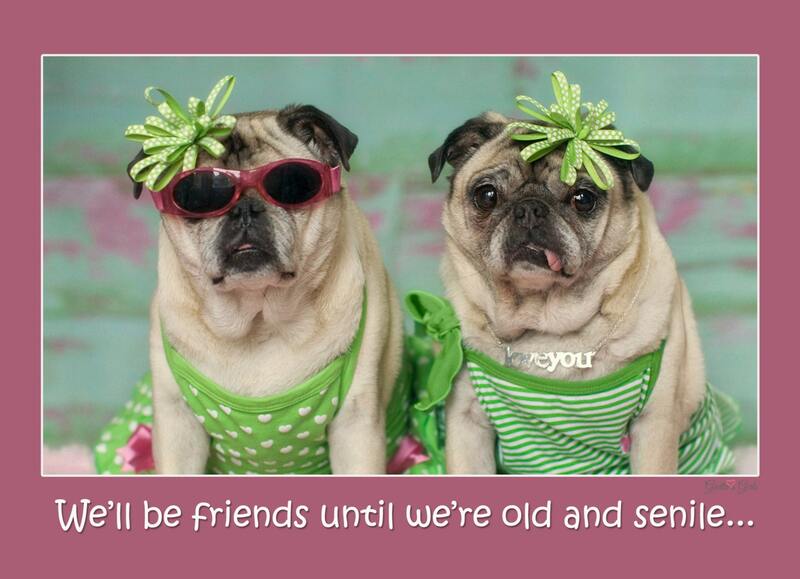 This item is one, "We'll Be Friends," funny birthday card by Pugs and Kisses and Gretta's Girls. It features two adorable and fashionable pug besties. 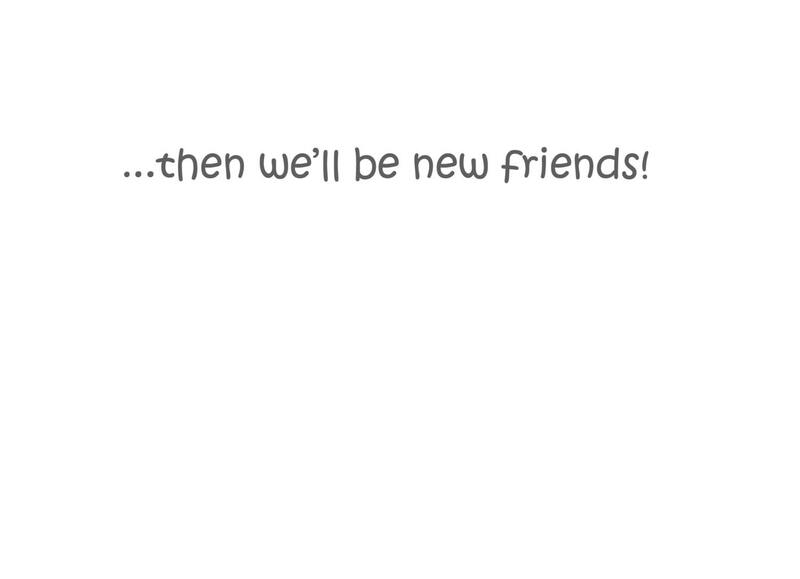 "We'll be friends until we're old and senile....."
"...then we'll be new friends." 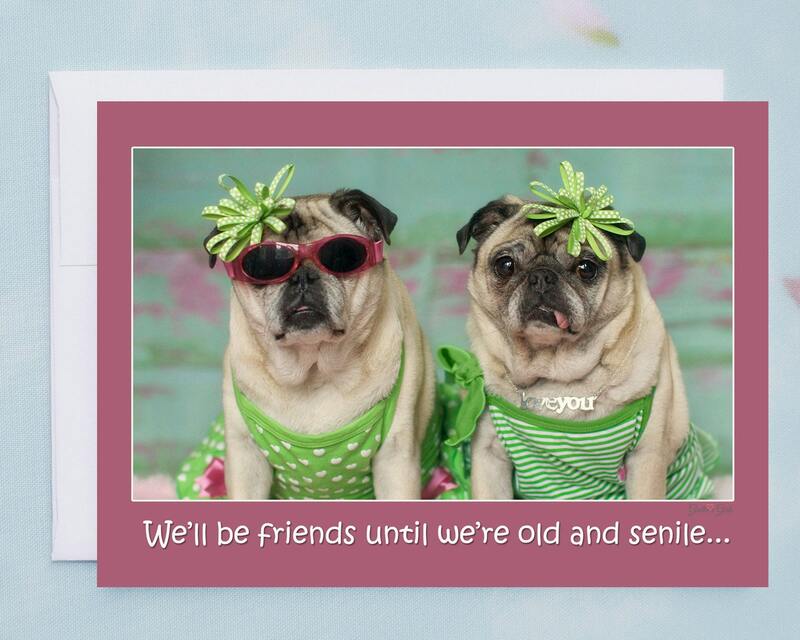 This funny card is sure to spread smiles and let your special friends know just how much you love them!